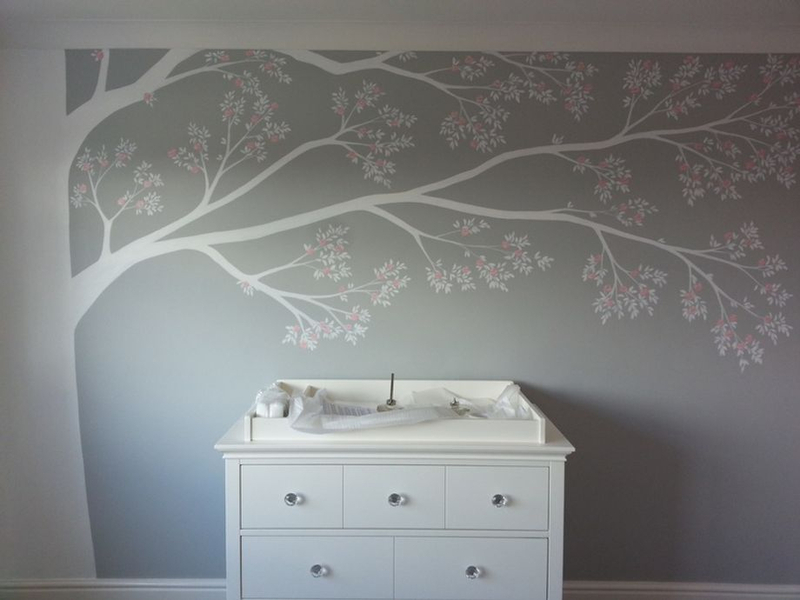 This pretty white and pink blossom tree was painted in a new born baby girls nursery. Painted on top of the grey back ground, it creates a soft, pretty and contemporary feel. 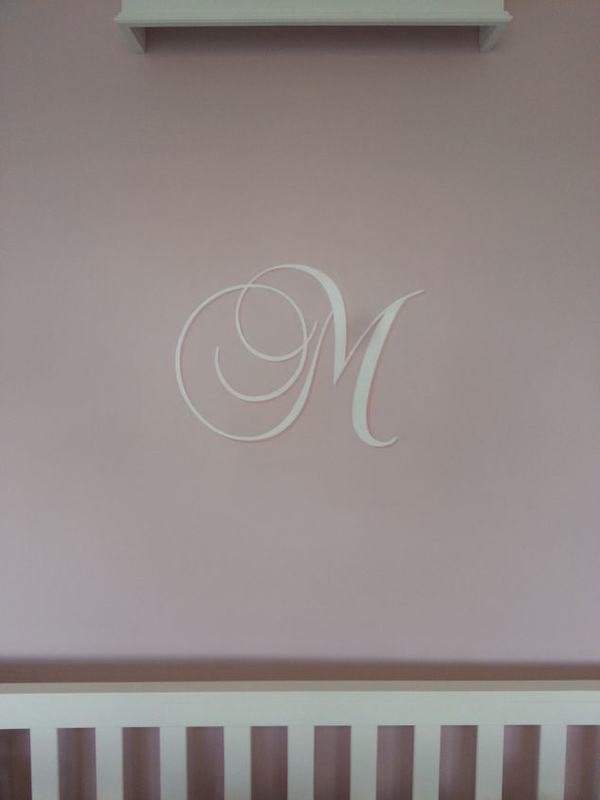 We also painted a decorative 'M' above the cot. This took us one day to complete.